Hate Budgeting? This Is the Budgeting Course For You. If you’re like most people, you hate budgeting. Also if you’re like most people, you’ve tried budgeting in the past, only to give it up within a few short months, weeks, or even days. Then this is the course for you. In fact, it’s called Budgeting for Budget Haters! 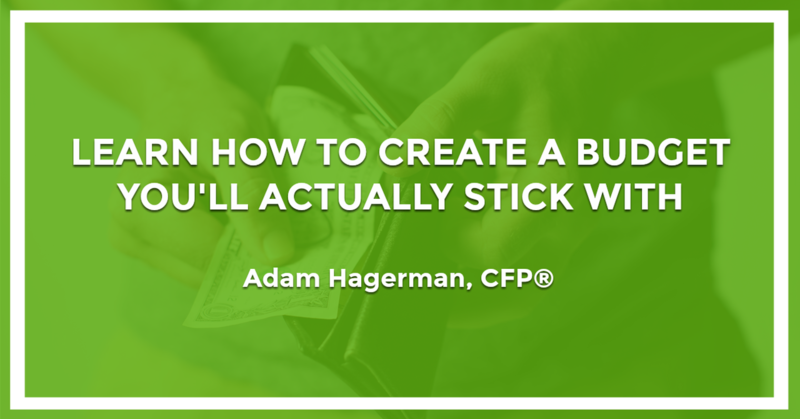 Created by Adam Hagerman, a certified financial planner and full-time financial coach, this course starts with a foundation — The 9 Steps to Financial Freedom — and guides you, step-by-step, to create a realistic budget that both you (and your significant other) can stick to. Should I pay off debt before saving for an emergency fund? Should I pay a little extra on my debts or only focus on one at a time? How can I reduce my grocery bill? What’s a good rate for car insurance? How can I start saving more? Which credit card is best for improving my credit score? How should I be saving for my child’s college fund? Does it make sense to open up multiple savings accounts? Seriously, you can! If you’re serious about taking paying off massive debt and building massive wealth, then I highly recommend this course. Are you ready? Then check out his course in the link here. Go get ’em!